Head over to Amazon and score some nice deals on Simple Joys by Carters Pajama Sets – available exclusively for Amazon Prime members! This new collection features clothing for newborns and toddlers made by Carter's and available exclusively on Amazon. Only $9.99 shipped (regularly $16.99) – just $4.99 each! Only $14.99 shipped (regularly $25.49) – just $4.99 each! Only $14.99 shipped (regularly $26.99) – $4.99 each! Only $14.99 shipped (regularly $23.99) – just $4.99 per set! 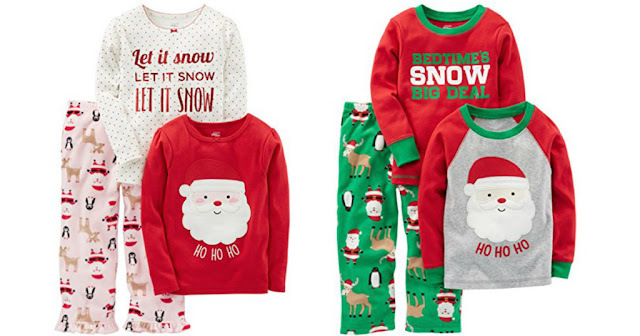 Only $12.99 shipped (regularly $17.99) – just $6.49 per set! Only $15.99 shipped (regularly $19.99) – just $7.99 each! Only $11.99 shipped (regularly $14.99) – just $3.99 each!